The United States is home to more than 200 million licensed drivers and 250 million registered passenger vehicles. Those numbers mean the U.S. has more roadway traffic than any other country in the world. Despite strict laws at the state and federal level that are designed to keep our streets and highways safe, the fact remains that car wrecks cause tens of thousands of deaths and serious injuries every year. The lawyers at The Law Offices of Frank L. Branson in Dallas have represented individual drivers and their families in car wreck cases for more than three decades. From the start of every case, our full-time staff of investigators, medical professionals, and courtroom evidence experts work with our car accident attorneys to put together the strongest case possible. This approach ensures that every piece of potential evidence is judged on its own merit in order to identify the specific facts that will help convince a judge or jury. We know how other drivers and their insurance companies defend themselves in court, and we use that knowledge to help protect our clients’ rights. 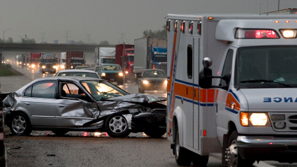 Attorney Frank L. Branson has helped many car wreck victims and their families. Using a combination of expert investigation skills, effective negotiations, and proven ability in the courtroom, our team works hard to help clients get the medical care and compensation they deserve. Our long and successful track record is why so many people from Texas and throughout the rest of the country regularly call on The Law Offices of Frank L. Branson in serious car accident cases.